This imbalance is caused by a number of factors such as stress, lack of sleep, eating overly acidic foods, and not getting enough exercise daily. To restore your body’s chemical balance, consuming alkaline water can help make sure you live a long and healthy lifestyle. ARE THERE ANY OTHER ALKALINE WATER BENEFITS? There are many health benefits associated with drinking alkaline water. So many, in fact, that if you are experiencing any health issues, alkaline water should be the first thing on your list to try. Without drinking an adequate amount of alkaline water daily, as nature intended, anything else you are doing to improve your health may be limited in its success. 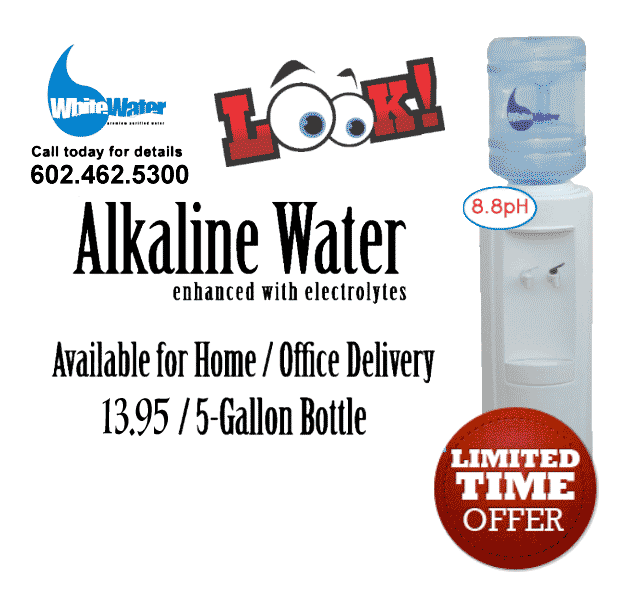 Fill out the contact form here or call us now at (602) 462-5300 to have alkaline water delivered to your home or office today in Phoenix, Arizona and the surrounding areas!